Is the genius becoming clear? 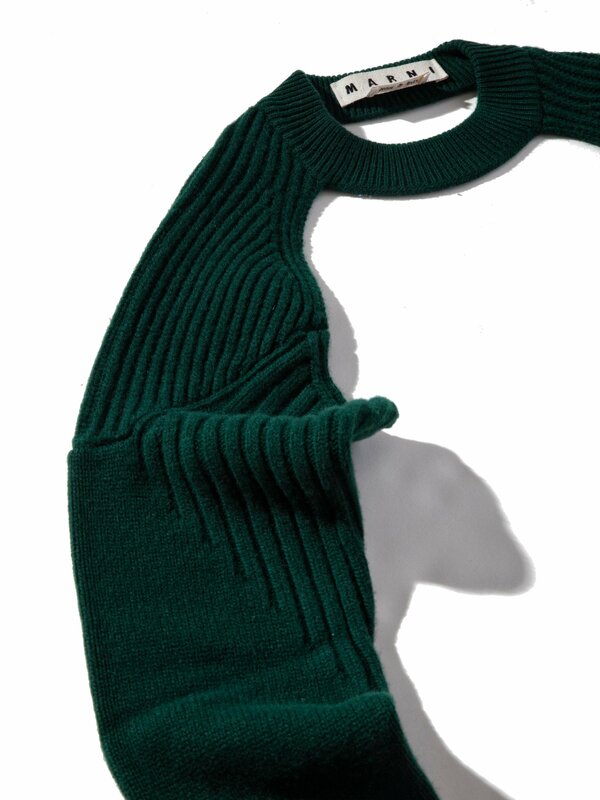 Of this Marni piece, retailer Union in LA urges, “Layer up in a new way….Knit sleeves. Get creative.” Yes, this is a pair of knitted sleeves. There is a neck. There’s no body. What we are looking at here is a completely new paradigm concerning the notion of arm coverings. There is nothing ridiculous about this. Count the times you’ve wanted to wear that t-shirt, but it was too chilly. Slightly too warm for a coat, but in a tee alone you’d shiver. Are you starting to see now? Is the genius becoming clear? Equally, how many times have you thought, it’d be great to dress like Lord Humungus from Mad Max 2, but in a more cosy way? You know, bare chested, but instead of chain mail arms, more of an Italian merino knit. I expect you’re reaching for the debit card as we speak. Well, hold tight for a second soldier. While we’ve conclusively established that this set of knitted arms is virtually indispensable, there is a cost involved. You might assume that sans body, a ‘sweater’ like this would be cheaper than say, a ‘bodied’ sweater. You would be mistaken. These arms will set you back £440. 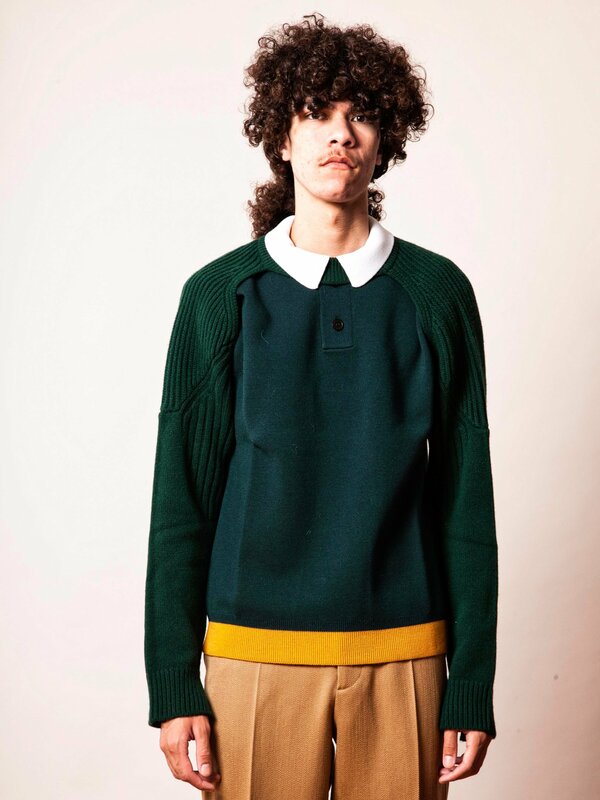 I’m no expert, but I’m pretty sure you can get an amazing sweater including a body for £440. But then of course you’re not buying the genius of not having a body. A point I think I’ve adequately made. Ha ha ha. This is mental. On first glance I thought it was a scarf.